UPDATE: Show up to support Bike Lanes on Ft. Worth Ave, pass it along! SHOW UP TO SUPPORT BIKE LANES ON FT. WORTH AVE! Is this tonight June 20th like you say or next Wednesday June 27th like the public notice says?? 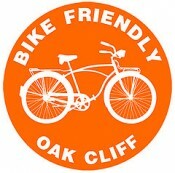 It’s not too late to tweet this via the @BikeFriendlyOC feed. Jack, sorry we posted the incorrect date, originally. The actual date is June 27th, next Wednesday! Thanks and please bring a friend.